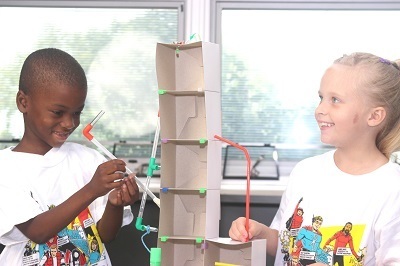 Invent the future today at Camp Invention®! 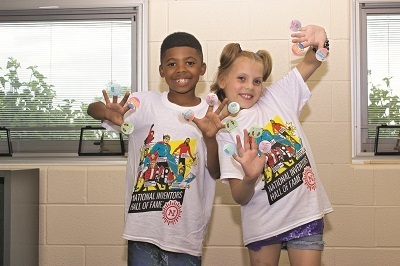 A program of the National Inventors Hall of Fame®, Camp Invention is an exciting, week-long summer adventure with lessons that explore connections between science, technology, engineering, and innovation. Children in kindergarten through 6th grade work together to seek solutions to real-world problems and sharpen critical 21st century learning skills while rotating through several fascinating modules. 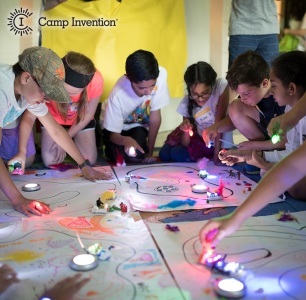 Camp Invention connects children to inventors who changed the world, and enhances the scientific knowledge base of participants. The program hooks children and gives them high-energy, hands-on, innovative fun, while presenting them with challenges that emphasize STEM, collaboration, and entrepreneurship through innovation. Camp Invention positively impacts teacher attitudes toward science content while reinforcing their abilities to instruct children using educationally sound methods and creates effective strategies for developing challenges to prepare students for the future. Every year the fresh content inspires children to explore, have big ideas, and make new innovations. Camp Invention’s all-new program, Fast Forward, allows campers to bring their “smart” home to life with smart furniture and eco-smart energy, design a robotic dog and diagnose puppy problems, explore sensors by designing tracks for an Optibot, a robot that senses dark and light surfaces, and build Cake Catapults! Optibot™ – Campers will launch into the future with their own Optibot—a small self-driving bot that senses changes in light. Exploring the technology behind transportation, children will design the ultimate futuristic vehicle that might one day be reality! Robotic Pet Vet™ – Animal shelters are reporting that malfunctioning robotic dogs have been popping up all over town. Hurry and tell your young inventor to grab their vet kit because there’s only one cure for these pups—innovation! Throughout this module, campers diagnose puppy problems and design and build dog parks as they hammer out ideas for the best dog park attraction. Mod My Mini Mansion™ – Campers will dream up and design their very own futuristic smart home filled with gadgets, LEDs, technology and innovation! From talking mirrors to toasters that know how to cook their favorite foods, your child will invent and build models of these smart gadgets and gizmos. Stick To It™ – Campers will invent something new every day as they explore what it is like to be a physicist, engineer and entrepreneur. 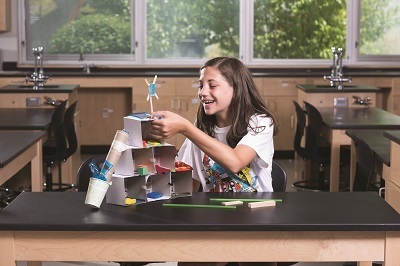 Daily challenges inspire campers to bring their own ideas to the table, think big, persevere and get to the heart of what it means to be an inventor. 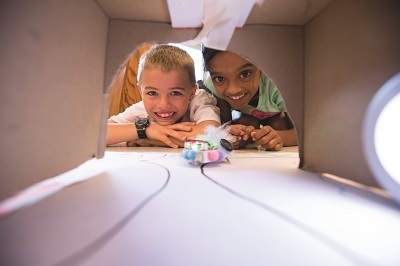 Your young innovator will invent, make and craft solutions to real-world challenges by building their own prototypes and discovering that anything is possible! Local educators will facilitate program modules and enthusiastic high school and college students will serve as Leadership Interns ensuring that one staff member is in place for every eight children. Availability is limited, so visit www.campinvention.org or call 800-968-4332 to learn more and secure your child’s spot today! Use promo code Camps25 to save $25 (expires 3/23) and Camps15 to save $15 (expires 5/4).